Good space for three people, everything worked in the flat. Sehr sauber, freundlicher Empfang des Gastgebers, Ausstattung gut, Aufzug im Haus. Отличное расположение апартаментов, 5 минут и ты в центре города. Рядом супермаркет (5 минут) ходьбы. La posizione! Perfetta x visitare la città a piedi e anche vicina alla stazione centrale. Davvero centralissima!! L'appartamento è davvero molto carino. Ļoti laba lokācija - praktiski pašā vecpilsētā. Ātrs un kavalitatīvs WiFi. Ruime kamer met tafeltje en ligbank. locatie midden in het centrum. Parkeren 250 mtr lopen in parkeergarage Mitte, € 16,- p.d. Er is een kleine lift. Appartement ligt in woonflat. Gulta bija ļoti ērta, maza, bet ļoti laba virtuve ar visu nepieciešamo - mikroviļņu krāsns, pannas, naži, dakšiņas, šķīvji utt. Atrašanas vieta ideāla - tiesi blakus visam vajadzīgajam un vecpilsētas centrā. 200 m 5.stavigs iepirkšanas centrs, Vecpilsetas centrs , visi veikali utt. 10 minūšu gājienā centrālā stacija, 12 minūšu braucienā no lidostas. отличное месторасположение; неплохой вариант для 2; легкость отъезда. Расположение прекрасное, в кухне все есть , чтобы быстро перекусить, кровать удобная, достаточно тихо. 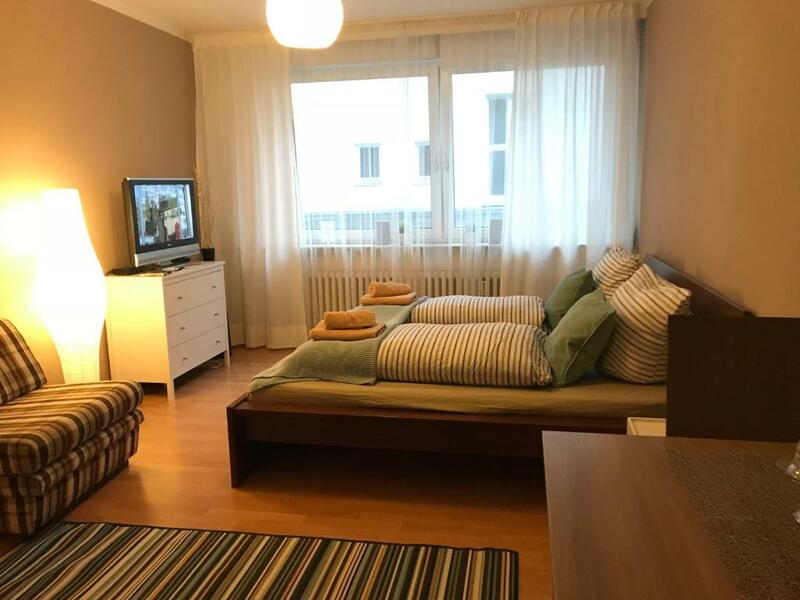 This apartment is centrally located in the Mitte district of Bremen. 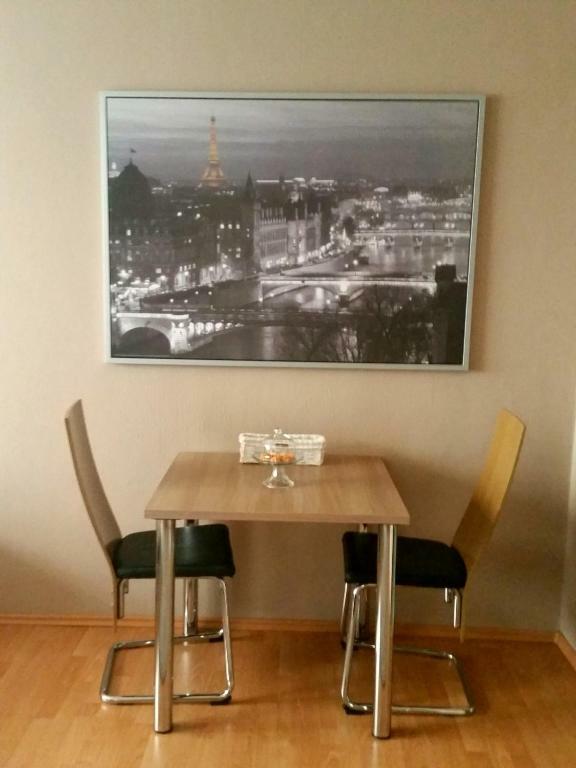 Apartment Beige is near the Old Town and the Schlachte Promenade with the River Weser and nearby shops. 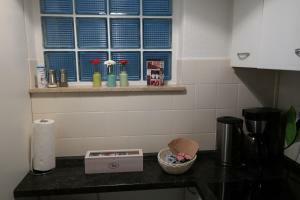 Set in a 1-bedroom apartment with a separate kitchen and a private shower room. The apartment is newly renovated and fully furnished. The kitchen is fully equipped with electrical appliances and kitchenware. The windows in the living room and bedroom face the back yard, so despite the central location you can enjoy peaceful accommodations day and night. Apartment Beige includes digital TV, free WiFi as well as complimentary tea and coffee. Bed linen and towels are also provided free of charge. The apartment building also has a elevator, a laundry room (for a surcharge) and bicycle storage. 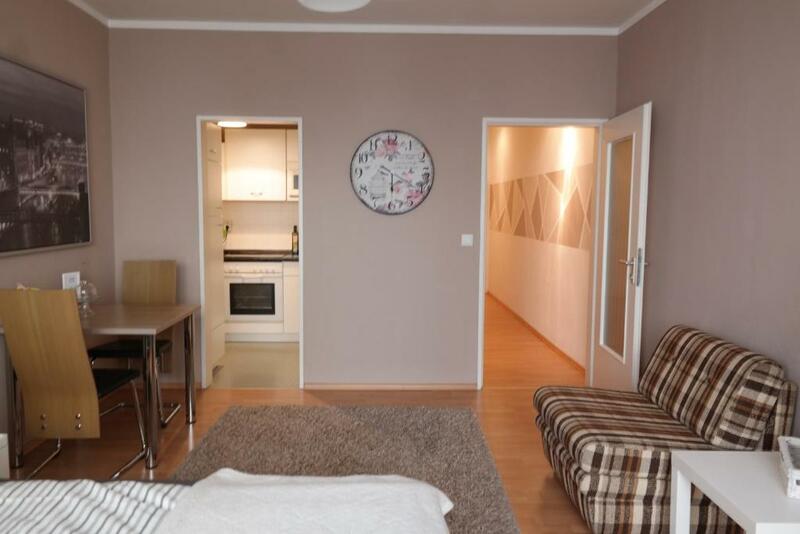 Apartment Beige is a 1-minute walk from public transport connections. 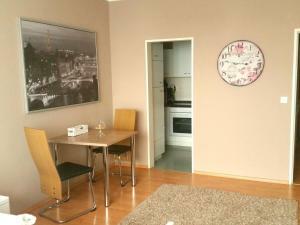 It is just 0.6 mi from Bremen Main Station and 2.5 mi from Bremen Airport. Mitte is a great choice for travelers interested in old-town exploration, architecture and restaurants. When would you like to stay at Apartment Beige? Set in a 1-bedroom apartment with a separate kitchen and a private shower room. 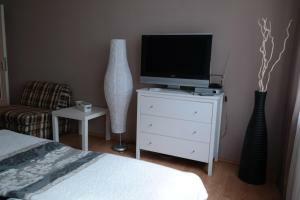 The apartment is newly renovated and fully furnished. The kitchen is fully equipped with electrical appliances and kitchenware. The windows in the living room and bedroom face the back yard, so despite the central location you can enjoy peaceful accommodations day and night. Furthermore, the house has a elevator, a laundry room (for a surcharge) and bicycle storage. Included: TV with DVB-T antenna, complimentary WiFi, bed linen and towels, coffee and tea. 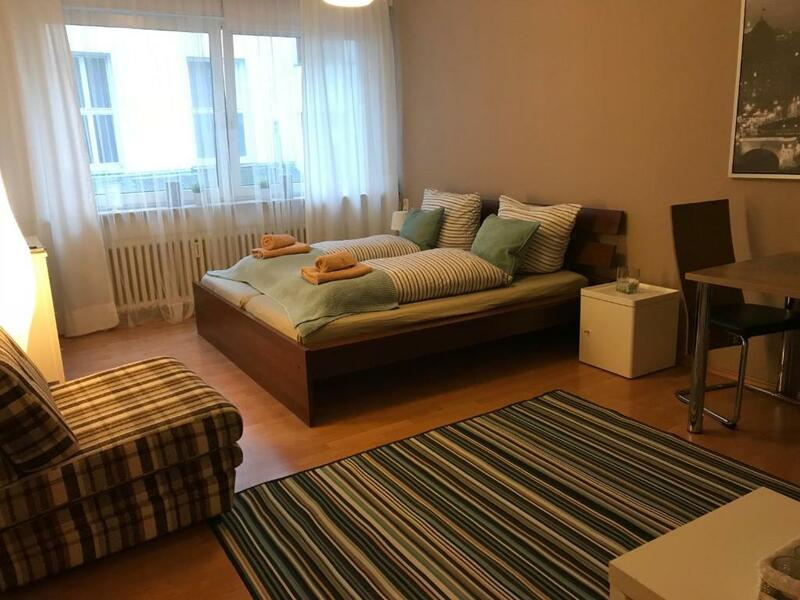 Sie wohnen in einem 1-Zimmer Apartment mit einer separaten Küche und eigenem Duschzimmer. Die Wohnung ist frisch renoviert und komplett möbliert. Die Küche ist mit Elektrogeräten und Geschirr voll ausgestattet. Der Fenster im Wohn- und Schlafraum richten sich zu einem Hinterhof aus, somit haben Sie trotz der zentralen Lage eine angenehme Ruhe Tags- und Nachtsüber. Weiterhin besitzt das Haus einen Aufzug, Waschraum gegen Entgelt sowie Fahrradkeller. Inklusive: Fernsehen mit DVB-T Antenne, kostenloser WLAN, Bettwäsche und Handtücher, Kaffee und Tee. Das Apartment ist eine selbständige Wohnung. Bitte eine halbe Stunde vorher bei mir anrufen, da ich nicht in dem Haus wohne. Vielen Dank. Area Info – This neighborhood is a great choice for travelers interested in old-town exploration, architecture and restaurants – Check location Excellent location – show map Guests loved walking around the neighborhood! House Rules Apartment Beige takes special requests – add in the next step! As the owner does not live on site, please let the accommodations know when you will be checking in. Keys can be picked up at the Rainbow Apartments office between 14:00 and 18:00. 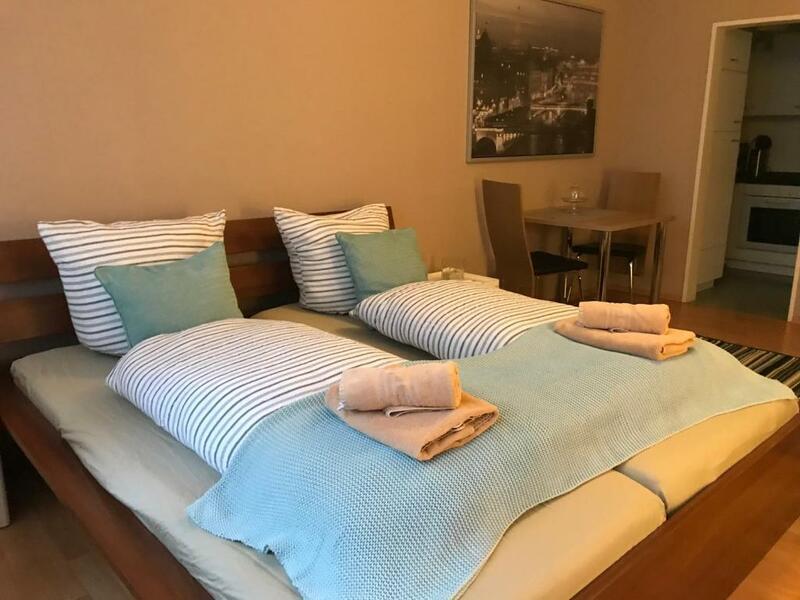 Otherwise there will be a EUR 15 surcharge and your keys will be picked up directly at the apartment, but you will have to call the accommodations in advance to arrange an exact time for picking up the key at the apartment. Please inform Apartment Beige of your expected arrival time in advance. You can use the Special Requests box when booking, or contact the property directly using the contact details in your confirmation. Please note that check-in and key collection take place at: Hemmstr. 233, Bremen 28215. The promised tea and coffee was missing. Toilet in the apartment was dirty and did not smell good. The apartment comfort was ok, however the price is only justified by the location of the place. Otherwise I would have said this place is over priced. Very clean , spacious, everything you needed. Collect the keys was quite hard, the adress was not clearly specified on booking.